If you too are a grumpy madam (or mister) when you miss breakfast in the morning, then Newstead’s new local may be just the place to turn that frown upside down! Grumpy Madam is a new hole-in-the-wall café in the more industrial side of Newstead. 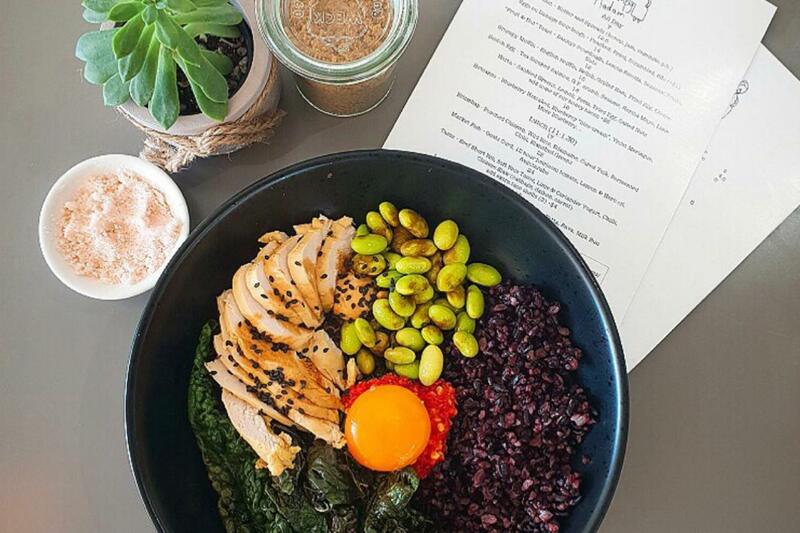 This tidy spot on Evelyn Street is the perfect addition for local workers and the weekend brunch crowd alike, with their inventive menu making this joint a worthy addition to any Brisbane Insta-foodie’s bucket list. For an all-day breakfast, try the Scotch egg with tea smoked salmon, korma mayo and lime, blueberry hot cakes with violet meringue, or the sautéed greens with honey bacon. Our pick is their fruit and nut toast with lemon ricotta and seasonal fruits – guaranteed to put a smile on your dial! For lunch, there’s a diverse but impressive offering like bibimbap with poached chicken and fermented chilli, market fish with goat’s curd and heirloom tomatoes, beef short rib tacos, and an mouthwatering lamb burger on a milk bun. Grumpy Madam is anything but it’s namesake; this charming cafe with a bold menu will put a spring in your step to start the day – because a coffee a day keeps the grumpy away!